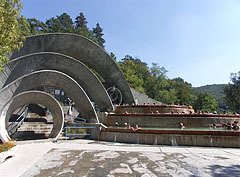 This series of photos were shoot on the last opening day (10 September 2006) of the then already more than 30-year-old bath. 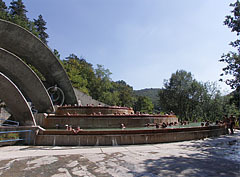 According to the promises the bath would have been remained closed until 2011 due to a complete renovation, but even in 2015 it is in half-demolished and ruined state and still waiting to see what will happen. 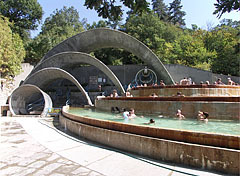 Allegedly it had to be closed only because the owner of the nearby expensive thermal hotel and spa wanted to acquire the precious medicinal thermal water of the beach. 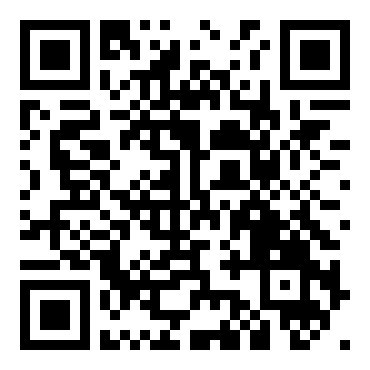 Unfortunately if we see the facts until now, it still cannot be gainsaid. 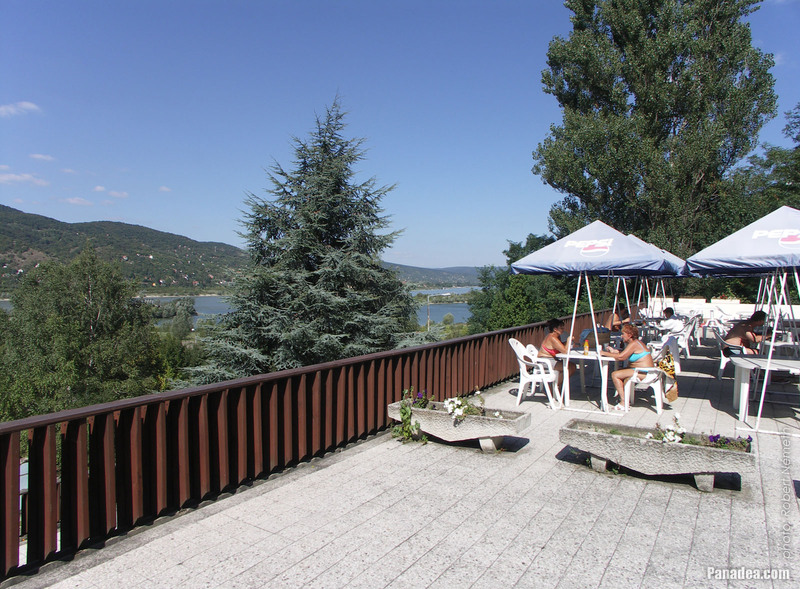 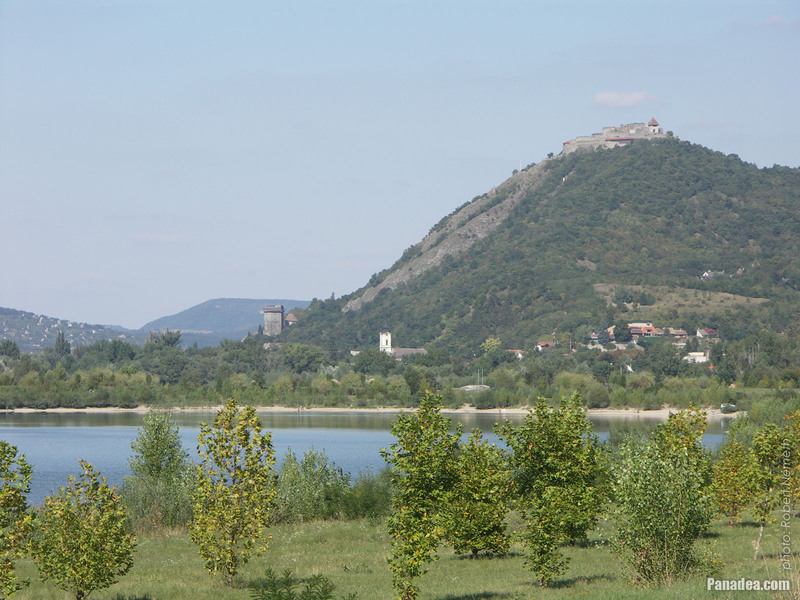 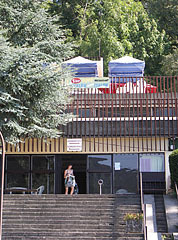 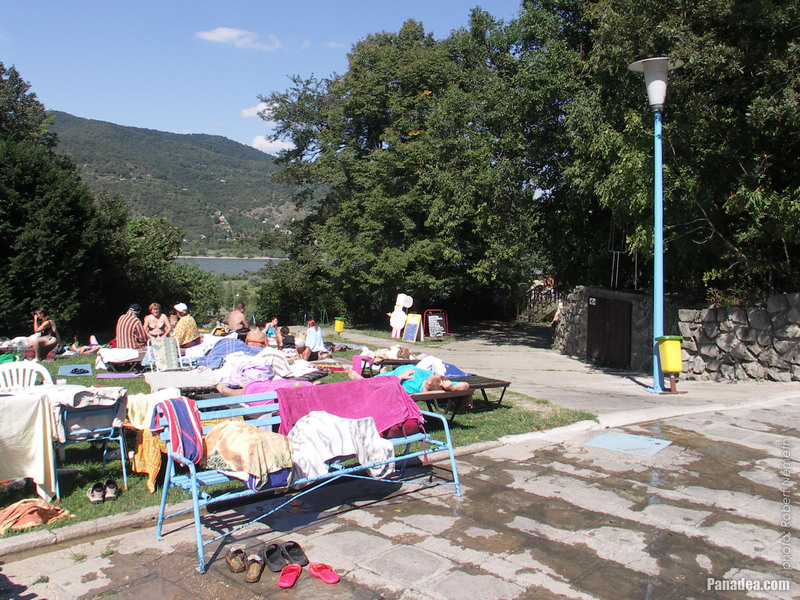 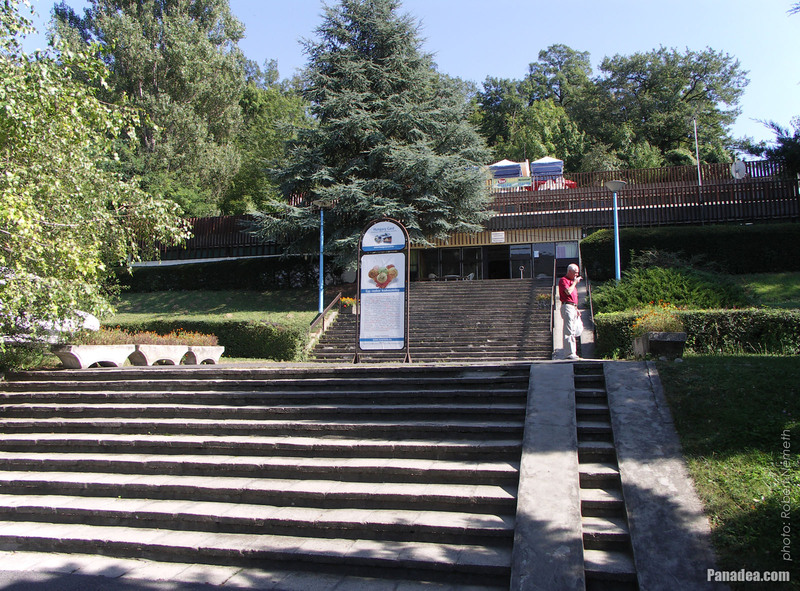 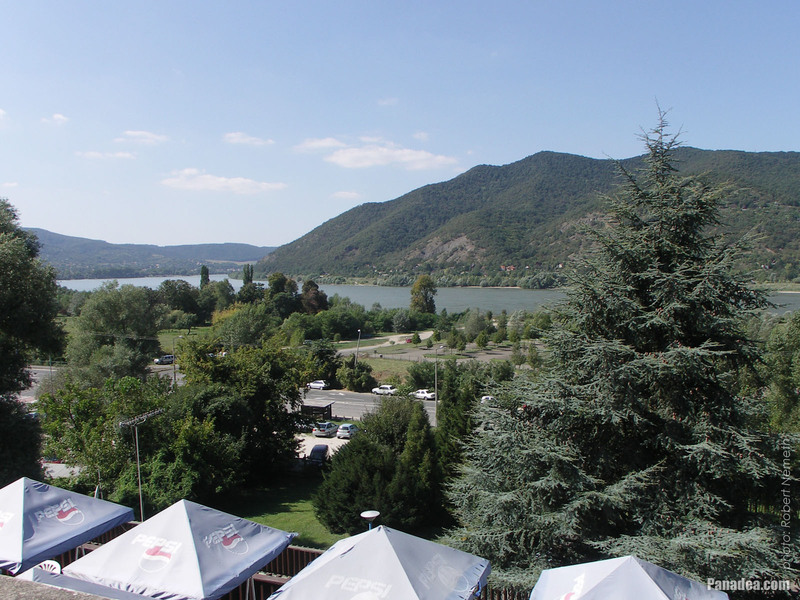 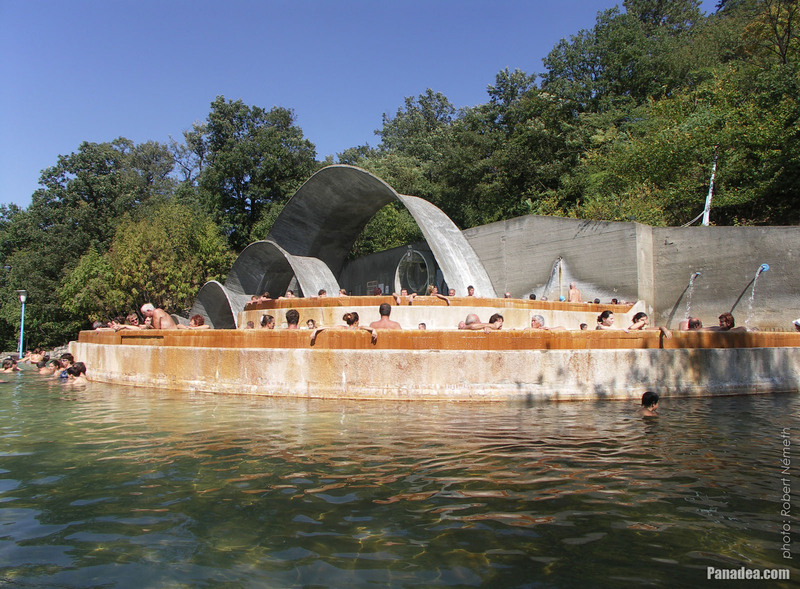 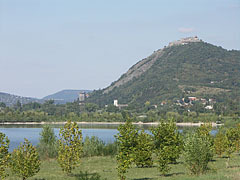 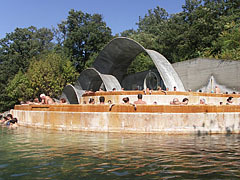 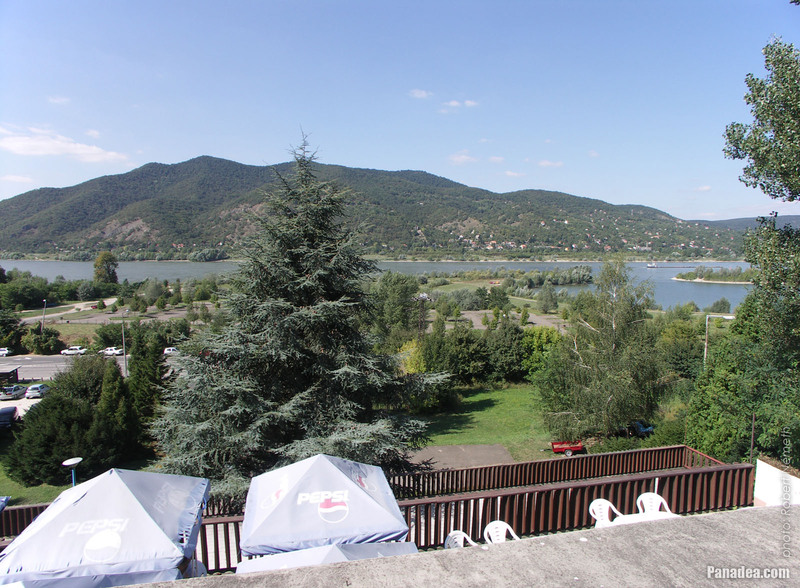 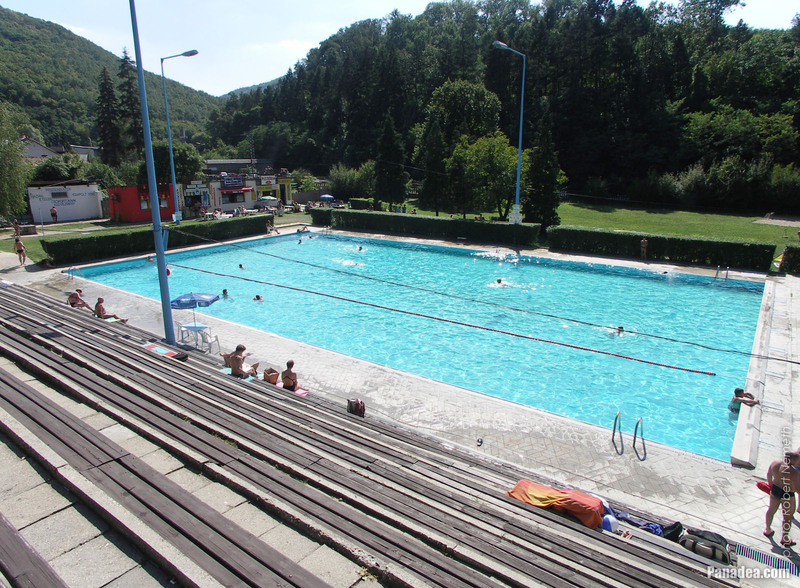 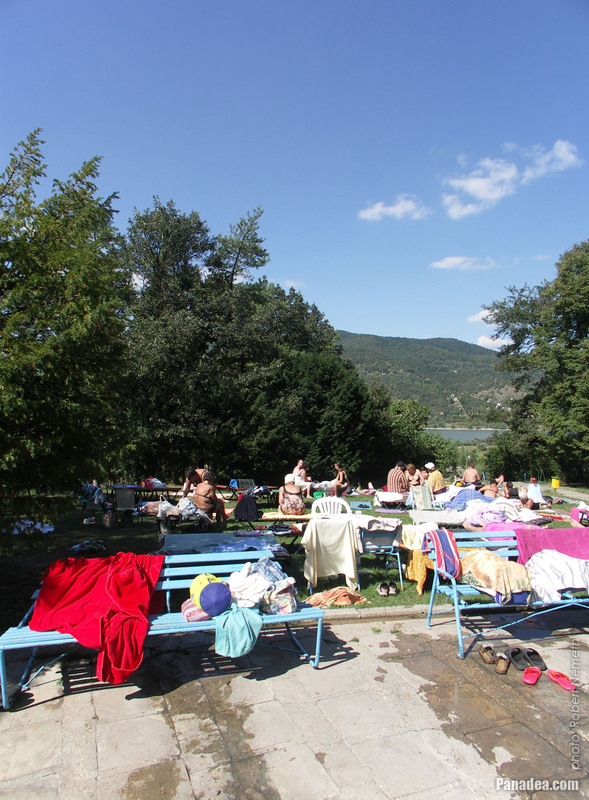 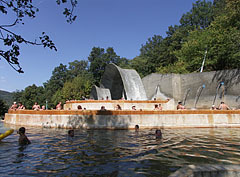 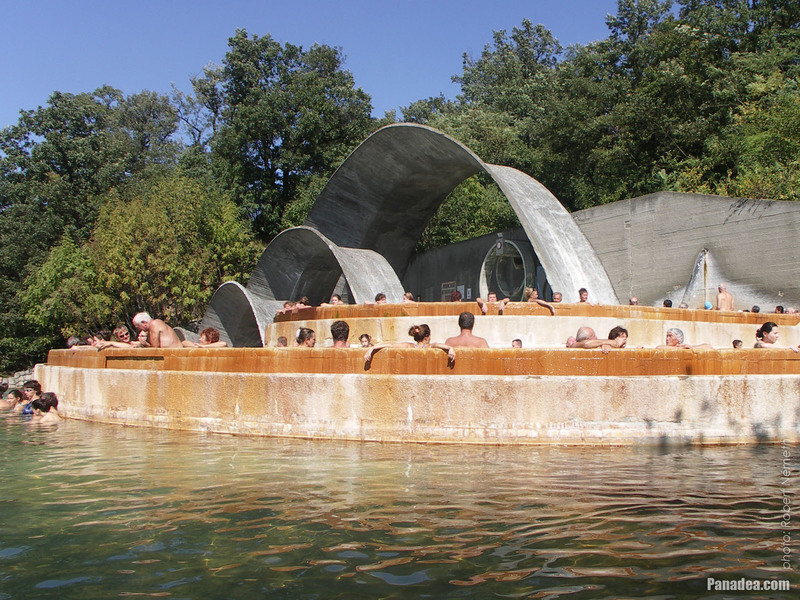 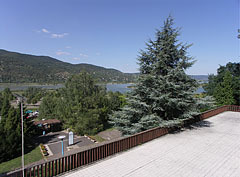 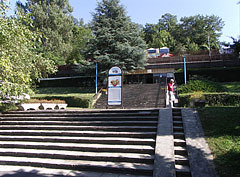 Anyway, the former unique thermal bath that well fit into the picturesque landscape of the Danube Bend caused unforgettable moments for many Hungarians and people from other countries as well, it is dear to their hearts to remember it. 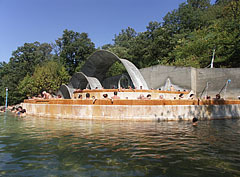 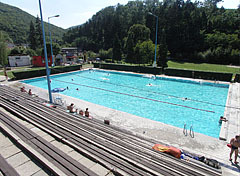 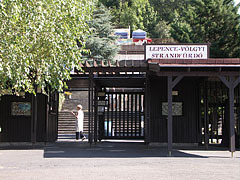 Due to its composition of thermal water of Lepence received medicinal water certification in 2002. 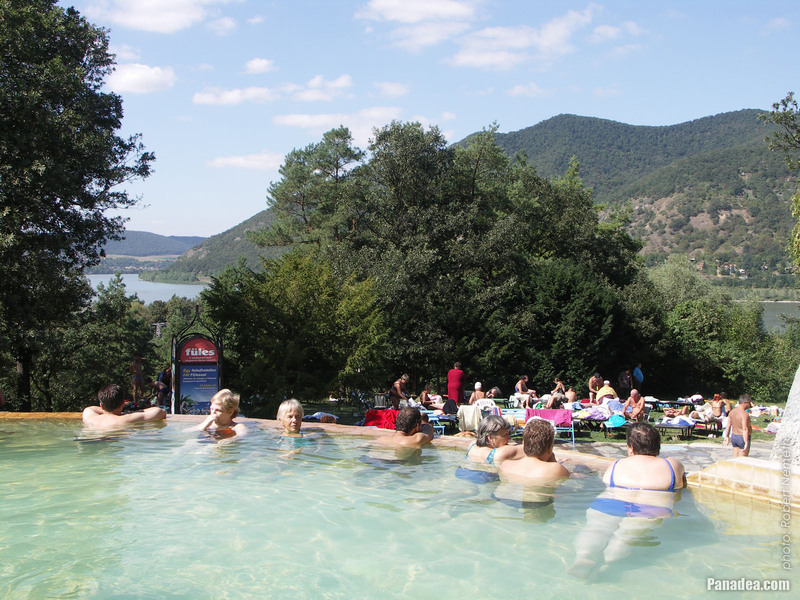 The astringent and anti-inflammatory effect of this water is commonly known, it contains calcium, magnesium, bicarbonate and alkaloids with relatively low salt concentration. 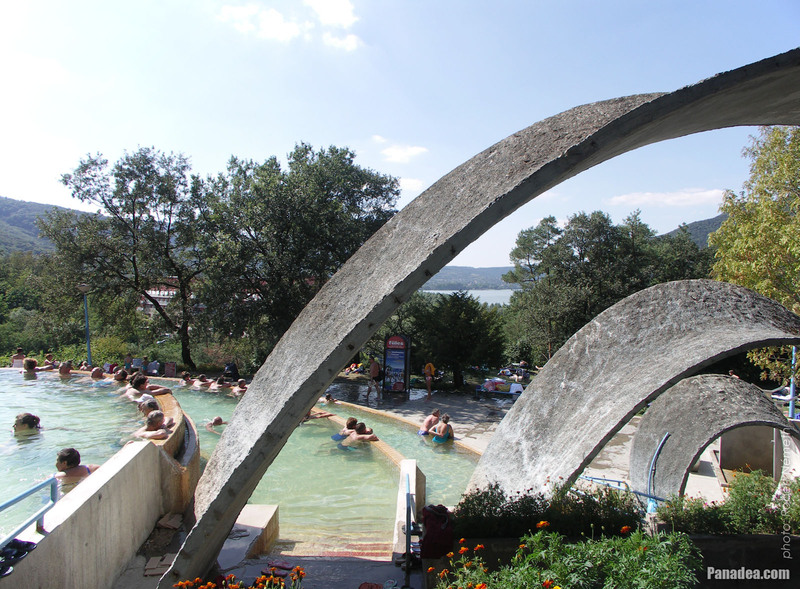 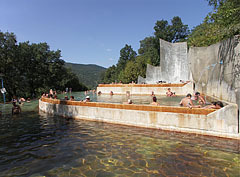 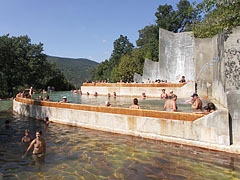 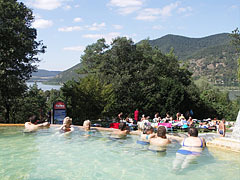 The thermal pools are filled with comfortably warm water with a temperature of 36-38 °C from owns natural springs. 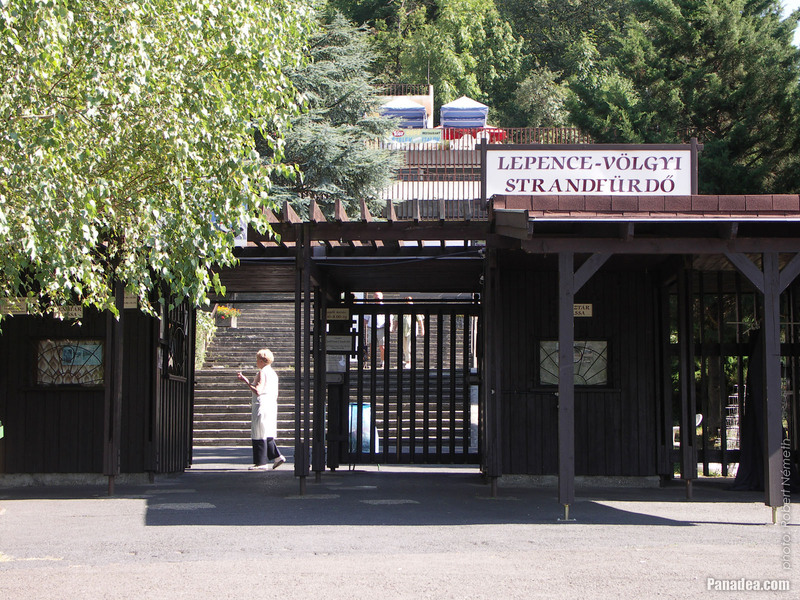 The former 2,400-person-capacity bath was situated on an area of more than 28,000 square meters, on a wooded hillside in the Lepence Valley that belongs to Visegrád town. 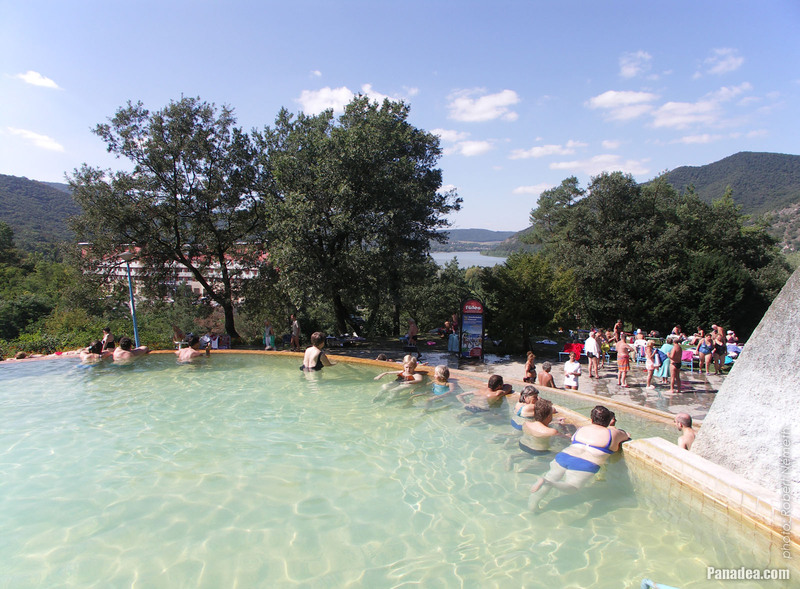 Beside the terraced thermal pools the bath had a cooler (25 °C) 33-meter-long six-lane swimming pool that was also appropriate to organize tournaments, as well a children's pool of the size of a quarter. 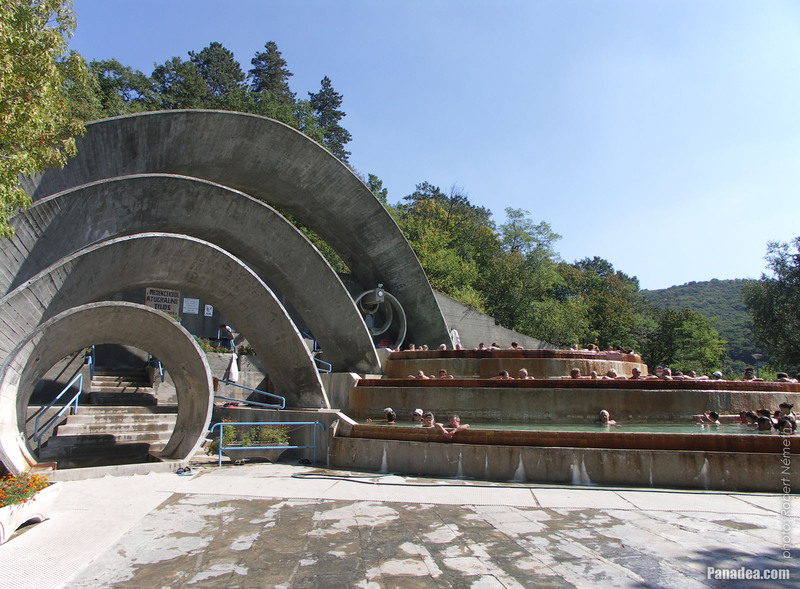 The simple water jets on the wall were also popular, almost always there were somebody here who massaged their stiff shoulders. 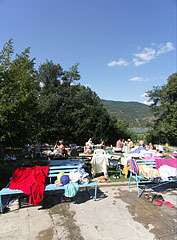 And of course moody snack bars and self-service restaurants invited the guests who became hungry during the bathing.